Jordan Rickards: 00:00 All right. Welcome to another edition of the conservative opinion.com video podcast. I’m sorry that we’re so late. We had 35 minutes worth of technical difficulties that were not any of our fault, but in any event, today’s topic and I’m really excited about this is the recall effort against New Jersey Governor Phil Murphy and to discuss this as the young woman leading that effort. Dr. Jenna Evans. Dr. Evans has two bachelors degrees, a Master’s in health administration from Saint Joe’s and her phd is in health sciences from Seton Hall. She was also… well, she’s won a number of awards, but she doesn’t want me to get too far into it, but she’s also the head of the South Jersey Young Republicans and she’s joining us here today. Jenna, thanks for coming with us. Uh, for those, for the benefit of those people who don’t live in New Jersey, why don’t we start with this? Why are we here? Why are you trying to recall Phil Murphy? Dr. Jenna Evans: 00:48 Okay, well first off, New Jersey’s one of the highest taxed states in the whole country. Instead of trying to alleviate this governor Phil Murphy, um, implemented a rain tax, which has to do with management of pollutants, uh, for storm water. Um, he has a precarious income tax increase. He may New Jersey, a sanctuary state in which just recently in the news, um, there was a woman jogger or that was raped and murdered by one of these illegals being that we’re a sanctuary state now, um, he has a millionaire’s tax. So pretty much opposite of solving problems. The citizens are now suffering. Um, what he actually has done is he’s United, the Republicans, the Democrats and liberals against him. So, um, that’s pretty much why I want them recall. We’ve definitely got to get him out of there. Jordan Rickards: 01:43 Yeah. Well for people that don’t know, I mean, we already were the most oppressively tax state in the nation and honestly, I’m not the kind of person who just complains about taxes reflexively, but it’s gotten ridiculous here. I mean, the average property tax New Jersey’s about $7,000 a house. The average homeowner now is paying about 52% of his income to taxes. If you factor in state, local and federal taxes in New Jersey. And not only has he not done anything about this, he campaigned on a pledge to raise spending and raised taxes and people might wonder, well why would anyone vote for him? You gotta understand New Jersey has so many areas where nobody pays property taxes. All of these cities that just get state funding from the rest of us. And so they go out and vote for people like this and the rest of us can’t do anything about it. Um, so let me ask you this. How does somebody such as yourself with a phd in health services suddenly get involved in and tangled up with this sort of thing? Dr. Jenna Evans: 02:36 Well, my phd really has nothing to do with getting involved. The PhD allows me to conduct research and work in a hospital. I got sick of believing in leaders that do not get things done and I feel that people need an advocate. Jordan Rickards: 02:53 Okay. And so, uh, what efforts, I mean, how far under way really is this recall effort? Like at what stage are we right. Dr. Jenna Evans: 02:59 Okay. We’re still at the beginning because the bureaucratic red tape to try and recall a flawed public servant is absolutely ridiculous. Um, we’re still waiting on the paperwork. Um, within a week we should have everything finalized a Trenton. Um, we have a very strong team that’s on top of it on a daily basis. So what we need now at this point, after the paperwork is finalized, 25% of registered voters need to sign this petition, which we have 320 days when we receive the finalize paperwork. 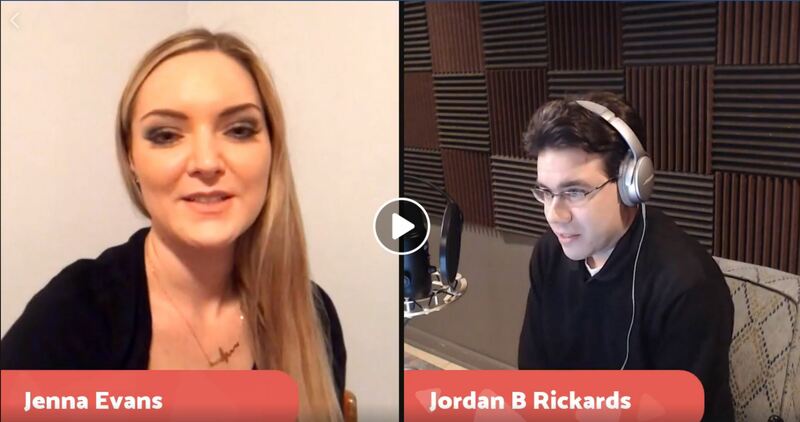 Jordan Rickards: 03:36 25% of registered voters with 25% of the number, that voted in the last election. Dr. Jenna Evans: 03:42 25% of registered voters. Jordan Rickards: 03:44 Okay, that’s fine. So what, what does that like 2 million people or something? Dr. Jenna Evans: 03:48 Um, it’s 1.45, but we’re going to shoot for 1.6. Jordan Rickards: 03:55 How many people even voted in the last election? Dr. Jenna Evans: 03:59 How many? Off the top of my head. Jordan Rickards: 04:01 All right, hang on. Well, how do you, how are you going to get 1.4 million? I mean, are we allowed to use electronic petitions? Dr. Jenna Evans: 04:09 We are not. Dr. Jenna Evans: 04:22 but it will. Jordan Rickards: 04:24 Okay. So tell me, how do, how do you get from where we are now to 1.4 million? Dr. Jenna Evans: 04:30 We will have a lot of help. We’ll have okay. Hope from both parties, primarily the GOP, but as far as the logistics, um, that pretty much will be challenging. 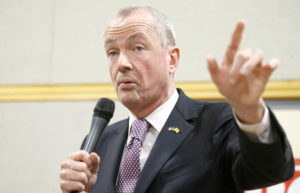 But um, as far as polls go, uh, like for the most recent polls are saying that more than 40% of the citizens of New Jersey disapprove of Murphy Anyway. Right. Oh, if we can organize it, it seems very promising. Jordan Rickards: 05:00 Well, have you gotten any help? Have you gotten any help from the state party yet? Dr. Jenna Evans: 05:05 Oh yeah. Oh, definitely. Yeah. Jordan Rickards: 05:07 Um, I can’t see, you know, you know, I can’t tell when you’re being sarcastic. Dr. Jenna Evans: 05:10 I’m not. No. A lot of support for this. It definitely a lot of support for the recall. Um, I remember seeing you at the end, Jg GOP summit, right? Every single municipality leader, every single county chair. Um, they’re all really excited and I’m like, expect them to be excited enough to want to go door to door for this initiative, you know, collect signatures that way. Um, we’re just, you know, I’m really happy for it, but you know, the GOP on all levels is so excited. Dr. Jenna Evans: 06:22 well, our goal was to have all the signatures by November 6th. Dr. Jenna Evans: 06:28 Because November fifth, everybody’s voting. So we’ll have people help to get the signatures then when people visit the polls. Jordan Rickards: 06:37 So you’re talking about November 5th of this year? Yes. So during the what, I guess I lose track of the year. So we’re in the, uh, what the heck is this? The legislative, a cycle for New Jersey is this year. And so we’re going to be using your, your idea to use this to your advantage. Is that right? Dr. Jenna Evans: 06:51 Yes. I’m pretty much all the local organizations are putting forth, they get out and vote effort. So we’re really looking to go from a grass roots movement, um, and merge with the establishment effort, which will unite the Republican party all over again. Cause we’ve had a really bad setback the past two years. Jordan Rickards: 07:12 But what do you attribute that to in New Jersey? Dr. Jenna Evans: 07:15 No, there’s a number of reasons. I can’t really put one foot, you know, I can’t really say it’s one reason or another. Um, by, we’re going to turn that around now. Jordan Rickards: 07:27 Do you want, do you want, do you want me to give my reasons? Oh sure. Go ahead. Cause I was at the same summit you were at and it’s absolutely astonishing to me. I sat there, you know, it was a two day summit and you know, they had us all in these different rooms. I should’ve gotten like CLE credit for, it was just like a bunch of seminars, but it was absolutely amazing to me is that at no time did any of our Republican leaders mentioned anything that they plan on doing for the poor or anything they planned on doing for anybody living in New Jersey City’s, I mean this is the problem in New Jersey. We have all these cities like Newark and Camden, Trenton, Jersey City, Elizabeth Atlantic city. I mean that we lose as Republicans like, like 90 to 10 if not more. And we don’t have a single plan to, you know, get any support from those people. And they’re not really property taxpayers. Those are mostly renters and subsidized renters. And so we have no message for them. We just kind of hope that the democrats fail badly enough that everybody else in the suburbs who are fleeing to affordable states decides to give us one last chance. Jordan Rickards: 08:29 Is that a, is that a fair assessment, do you think? Dr. Jenna Evans: 08:31 Um, you know what, I agree to a certain extent. Um, I have my own opinions about that as well. Jordan Rickards: 08:37 Okay. Well this is conservative opinion, so you’re welcome to share it. Dr. Jenna Evans: 08:41 Um, well I’ll have to pass on that for the moment just because I’m so focused or focused on Murphy rather. Dr. Jenna Evans: 08:59 But these leaders, they’re just, um, it’s really going to be a all hands on deck effort. And like I said, everybody, you just can’t wait. They’re so excited. Dr. Jenna Evans: 09:26 It’s not by myself. We have a lot of people behind this. Jordan Rickards: 09:30 No, I know you do. But I also saw the letter from the, from the division of elections and that was directed, uh, addressed directly to Dr Jenna Evans. So don’t be, don’t be so modest. You can, you can take credit for things. All right. So for someone who wants to get involved in, in this specific effort, um, how would they go about doing? Dr. Jenna Evans: 09:48 So what do you have to do is contact your local GOP, contact your municipality leaders, contact your county leaders and they’re waiting to hear from you. Dr. Jenna Evans: 10:05 You will? Jordan Rickards: 10:06 Oh yeah. For what? Dr. Jenna Evans: 10:09 I don’t know, I haven’t decided yet. Jordan Rickards: 10:10 Oh, okay. Jordan Rickards: 10:17 what you’re, you’re, what, you’re down there. And like Camden County, what Congressional district is as that Chris Smith or is that, is that Runyon’s old district? Dr. Jenna Evans: 10:24 No, it was Chris Smith. Jordan Rickards: 10:25 Chris Smith. All right, well that’s going to get redrawn soon enough so maybe we can put you up for that or something similar. Um, I don’t know. It’s up to you. Dr. Jenna Evans: 10:34 I have yet to determine. Jordan Rickards: 10:35 Yeah. All right. Jenna will listen… Excuse me, Dr. Evans, uh, whatever. Dr. Jenna Evans: 10:40 They’re nice. Jordan Rickards: 10:41 All right. So is there anything else that you think, uh, our, our viewers and listeners should know about this effort? Dr. Jenna Evans: 10:48 Yeah, that New Jersey refuses to be led by Boston, Phil Murphy. And we will not accept socialism here. Jordan Rickards: 10:55 Well, I hope you’re right. All right. Well, Dr. Evans, listen, thank you for joining us. I hope you’ll join us again and we can talk next time about your future plans for office and hopefully you’ll come back and give us an update when, uh, when you start collecting signatures and you’ll maybe like once you’ve got your first hundred thousand or something, we can have a Salvatore broadcast or something like that. Dr. Jenna Evans: 11:14 Okay, great. Sounds good. Thank you so much for having me. Dr. Jenna Evans: 11:17 All right. Thanks, Jenna. Good to talk to you. Take care. You too. Bye. Bye.